March | 2016 | Home: Free Sociology! By popular request, I’m posting a snapshot of net migration profiles by age across four time periods for both Metro Vancouver and the Vancouver School District (encompassing both the City of Vancouver and the University Endowment Lands of UBC to its immediate west). The comparison allows us to see how Vancouver, as a central city, relates to the wider metropolitan area in terms of net migration. But I’ll also walk more carefully through the steps I’m taking to come up with the figures. Let’s start with the big picture (click here to make it bigger!). Here I’m comparing net migration figures by age groups (aggregated for simpler presentation) across four time periods for both the Vancouver School District and the metro area. I toyed around with how to present the data, and went with the Vancouver School District net migration figures in color, and the corresponding metro figures in white. Of note, and as previously demonstrated, the metro area is growing across nearly all age groups in all time periods. Only amongst older residents, in their fifties and above, do we see evidence of possible out-migration (and I’d be careful about interpreting this). For the Vancouver School District (VSD), contained within the metro area, it’s a different story. Young people, especially of university age, FLOOD into the VSD. They keep flooding through their twenties, but as they move into their thirties, the flood starts to recede. As people proceed through their mid-thirties (in red), more of them leave the VSD than enter. This is a relatively common pattern for central cities, as many thirty-somethings decamp to cheaper and more spacious suburbs nearby. As visible from the metro stats, more thirty-somethings continue to enter the Metro Area than leave it, even though that’s no longer true for the VSD. All that said, the historical comparison is interesting! In relative terms, it looks like Vancouver saw a ramping up of the usual exodus of thirty-somethings between 1986 and 2011. But in the most recent five-year period, the exodus has slowed again. Relatively fewer thirty-somethings are fleeing the VSD now than was the case in the previous five-year period. I’m not sure how much to make of this pattern, but it’s intriguing. As for the flight of the Millennials, I’m still not seeing it. Not for Metro, and not for the VSD. But maybe that’s just because I think of Millennials as the fresh-faced twenty-somethings in my classes now, rather than the dour thirty-somethings of my classes from ten years ago. As with the net migration profiles I ran yesterday, I’m using BC Stats data from their population estimates. For Metro data, I’m selecting “Greater Vancouver” from Regional Districts available. For the City, I’m selecting “Vancouver” from School Districts. In each case, I use the five year age categories, totaling across both sexes, and I select all years available. The five year age categories match nicely with five year time comparisons. Setting aside death and migration, if I knew how many people were ages 5-9 in 1986, then I’d also know exactly how many people would be ages 10-14 in 1991. But people die and people move around. To take the former into account, I age everybody five years. I do this by finding reasonable age-specific mortality rates to apply. This time I chose 2008 mortality rates for all of Canada. But these rates are worth playing around with; choose your own games to play with death! Different rates can have sizable effects for older populations, though they won’t matter much for the young. For good measure, I killed people off for three years using rates from their starting age bracket, and two from their receiving age bracket. Then I subtracted how many I had left from my 1986 population from how many people actually showed up to be counted in 1991. Voila! The remainder is my estimate of net migration. Given that most of that migration presumably takes place during the intervening years, I’ve labeled my estimates by mid-ranges, like ages 7-12, centered between 5-9 and 10-14. There are ways to tinker with this to try and be even more precise, but this exercise should provide a decent estimate of net migration (especially given remaining uncertainties I have about data quality). If you’ve read this far, you should download the data into a spreadsheet and try it out! The other day I noticed data on Bloomberg that I hadn’t seen before, purportedly showing millennials fleeing Vancouver. What the data actually seemed to show was a declining net gain in Millennials, along with a loss of those in the 25-44 age range. This didn’t match with what I thought I was seeing in the Metro data for 2006-2011, though perhaps it tracks the data for the City of Vancouver (still looking into that). As is often the case, there is a frustrating lack of specificity about just what constitutes Vancouver, with Demographia affordability measures reflecting the whole metro region, but the City referenced in terms of local policies (and likely migration data). Then we get an anecdote about someone moving out of Squamish, treated as a “suburb 45 minutes away from Vancouver” and hence reflective of its market. All that said, I was just as interested in how the piece pointed me toward BC Stats data on population estimates broken down by age (which I’m assuming is where Bloomberg’s data come from). Which is great! Let’s play with that data. The data are different than what we get from the Census. Based on this document, it seems they are compiled via administrative data sources, including health data and hydro hook-ups. Other datasets also mention tax records. At the moment, I’m not certain where the age breakdown comes from, but it’s interesting. Comparing the population by age estimates from BC Stats with the Census estimates by Census years (2006 & 2011), it would appear that the BC Stats data systematically finds more people overall in these years, especially more young people (ages 0-49, peaking for 10-13% more 25-29 year olds), though slightly fewer old people (age 85+). Given known census undercount issues, I’m not sure which dataset should be viewed as definitive on this account, but the comparison is super-interesting! Wish I knew a bit more about where the BC Stats yearly estimates by age come from. A few things are interesting here. For one, I’m still seeing the same pattern, extending beyond 2006-2011, where net migrants at (nearly) all ages continue to enter Metro Vancouver. Over all periods, the big gain in net migrants comes for university-aged young adults, but extends through thirty-somethings and even forty-somethings. I certainly don’t see Millennials fleeing the area, nor are we losing our lifeblood, as far as I can see (colored green in all years). In fact, in the latest period, 2010-2015, the one exception to growth across all age groups, which you can maybe just barely make out if you squint, is a net loss of migrants in their mid-50s. But even this is an improvement over much higher net loss of those in their 50s from 1997-2011. * What to make of the turnaround in the net migration of older residents, in their 70s and 80s? Honestly, I’m not sure. This may be an artifact of using 2009 age-specific mortality rates, so that it looks like we lost a lot of older residents back in the 1980s and 1990s to out-migration, when in fact they just died more often than estimated. If so, it’s evidence of real progress in life expectancies at older ages! But it’s still notable that now there is plenty of room for people to grow older in Vancouver, and they seem to be doing it. *- comparing to net migration figures from the census, where we don’t see losses of fifty-somethings, I wonder if part of the story about those in their 50s is systematic overcounting of youth and undercounting of older residents in the yearly estimate data (or the reverse in the census data). Before we moved to the townhouse in Vancouver where we live now, we had a two bedroom apartment on the top (fourth) floor of a low-rise building in Kitsilano. We had fabulous neighbours in the building, and have remained close to at least a couple (knowing we were bike commuters, they all pitched in and bought us a chariot bike trailer after we had our first kid! Such a sweet gift!) My partner and I lived there together for about seven years. For about five of those years, we shared the place with at least one kid. For somewhere between three to four of those years, the apartment downstairs from us remained gloriously empty. An unoccupied housing unit! Right below us! We weren’t going to question our good fortune too closely, but for the most part, we remained at a loss to explain why it remained unoccupied so long. That said, we had at least some idea why it became unoccupied in the first place. We lived in a strata (condo) building. The strata association, after struggling to figure out how to deal with a couple of bad tenants living in the building, decided to pass a no-rental by-law. * The apartment downstairs from us had been rented out by its owner(s), and when the tenants left after their contract ended, they couldn’t be replaced. We figured it was only a matter of time until the landlord sold the place. But we had no idea just how MUCH time would pass. So there you have the messy story behind at least ONE of the empty apartments showing up in the City of Vancouver’s new report on unoccupied housing. An anecdote, to be sure, but possibly a helpful one. There are all kinds of reasons why housing units can remain empty. To be sure, these reasons no doubt include speculation, shoddy real estate practices, and also the second (or third, or fourth, etc. ), but seldom visited home ownership practices of the ridiculously wealthy. But they also no doubt include things like inheritances (that may or may not be contested), landlords coping with (and/or contesting) no rental provisions newly imposed by their strata corporations, owners coping with illness (which can be quite long-term), plain inattentiveness, and a host of other reasons that might puzzle the neighbours without seeming especially nefarious. 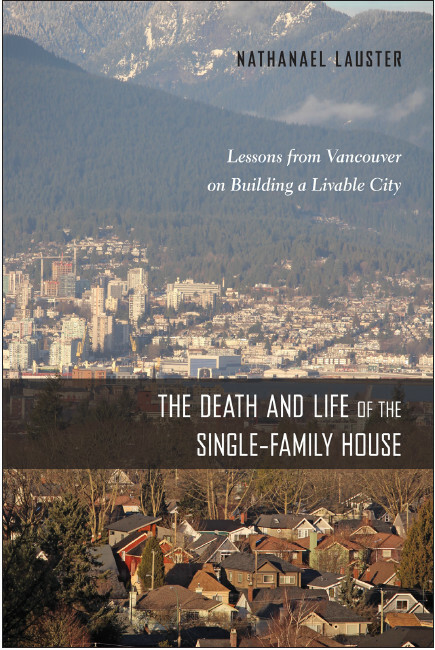 To return to Vancouver’s new report on unoccupied housing, which I’ve been trying to puzzle out (just like everyone else, it seems! ), the big finding is the stability we seem to be seeing in terms of a relatively large (but not outstanding) proportion of the City’s apartments left empty – especially, it seems, in my old neighbourhood of Kitsilano. Here’s where my anecdote (apparently drawn from the dataset under analysis!) may come in handy. The sheer diversity of reasons the apartment below us remained empty for three to four years may reflect a broader diversity of reasons properties across the city often remain empty. That diversity, in turn, may help explain the striking overall stability we seem to be seeing in occupancy. **- The new tenant who moved in was awesome! The poor guy had moved hoping to get some peace and quiet after experiencing a noisy upstairs neighbour in his old apartment. But he was EXTREMELY good-natured about our kid(s). He attributed this to the fact that he could (almost) always count on everything quieting down around 8pm, when we put all the noisy folk to sleep. Today I inquired of my Sociology of the Life Course (300-level) students: How many Canadian adults (ages 25+) have University degrees (Bachelor’s or higher)? Their starting estimate was close to 80%. From there I took descending bids, like a backward auction, until I had guesses of 72% and 60%, with one brave soul going as low as 40%. Then I revealed the estimates from Statistics Canada. And that’s when I heard an audible *gasp! * (it made my day, really). As of 2009, the figure was THIRTY-ONE PERCENT. And that’s only for 25-39 year olds (it would be much lower if we included older folks). I can sympathize with my students here. I actually have kind of a hard time absorbing this figure myself. I keep checking and re-checking it against census records. Why are my students so wrong? Why am I so skeptical? I’d suggest it pretty much comes down to exposure. When me, you, and (almost) everyone we know has a university degree, we tend to take the next step of generalizing to all of Canada. “After all, if everyone at UBC has or is getting a degree…” Yeah. It doesn’t work that way. The Statistics Canada estimates are also cool for another reason. They contain information about parental degree attainment. And it really, really matters. More than half of children who have at least one parent with a university degree will also earn a university degree. Fewer than a quarter of children without a university graduate for a parent will earn a degree. This (in conjunction with reading the much-cited work of American sociologist Annette Lareau), helps establish how social reproduction works. And the students get it. They just don’t necessarily get, until it’s put in front of them, how small the university educated middle class is. Or how exceptional their own experiences are. And why should they? They’re surrounded by other people just like them – at least in the key respect of educational attainment. What’s more, me, you, and everyone they know also usually extends to their parents. Most of them have university degrees too.